The LG 29UM65-P is a beauteous UltraWide Full HD monitor which is ideal for gaming, movie watching, and professional uses. It features an 8-bit IPS panel for accurate and consistent colors allowing professional designers and alike to do their work efficiently while giving the gamers an immersive gaming experience. Furthermore, this monitor offers some unique features such as the screen split software, built-in speakers, and the Dual Link-up connectivity. The 21:9 ultra-wide resolution makes for the extra horizontal place which can be quite helpful for those who multitask often. The spacious area can be further utilized with the Screen Split feature which allows you to split the screen into several different layouts and then drag the application windows into the grid where they will remain unhindered until manually moved again. The IPS panel of the LG 29UM65 delivers stunning image quality with accurate and vibrant colors that cover 100% of the sRGB color space which provides the professional designers and photographers with the adequate conditions for their work. Moreover, the panel ensures the impeccable 178-degree viewing angles both horizontally and vertically for the flawless viewing experience without the shifting of colors when viewed from a different angle. The response time amounts to 5ms which will remove ghosting and trailing of the fast moving objects in the video games and everyday use. Additionally, the LG 29UM65 boasts a very low input lag which makes it an excellent gaming monitor as it’s highly responsive while also providing a crisp and vibrant picture quality and an immersive, cinematic experience. Although the ultra-wide resolution doesn’t require a more powerful computer gear than the usual 1080p resolution, some video games don’t support the 21:9 aspect ratio. In this case, you can either find a fan-made mod which will allow you to stretch the image to 21:9 or play with a lower resolution which will result in black borders at the sides. The latter doesn’t look as bad as it sounds since the quality of the image won’t be affected unlike the size, but be sure to check whether your favorite games support the ultra-wide resolution before purchasing such monitor. The LG 29UM65 even makes the navigation through the OSD menu look fun with the joystick that is placed beneath the screen. By pressing it, you will open a single menu which can be used to quickly access the Picture by Picture mode, apply the Reader preset, enter the menu, or turn off the monitor. When the menu is not open, you can move the joystick to the left or right to adjust the volume of the dual 7W built-in speakers. Once you enter the OSD menu, under the Easy Control section, you will be able to adjust the parameters of the brightness, contrast, volume, change input source, and select different aspect ratios such as wide, original, 1:1, and two cinema formats which add a black border at the bottom of the screen for the subtitles. Under the Function section of the settings, you can enable the Energy Saving mode and swap between a few pre-calibrated picture presets including Game, Photo, Cinema, and Standard. In addition, you will be able to adjust the picture by picture mode, tweak the sharpness, response time, and the black level feature which brightens up the image in the dark scenes of video games and movies. Lastly, you can configure gamma, color temperature, and the six-axis color levels. 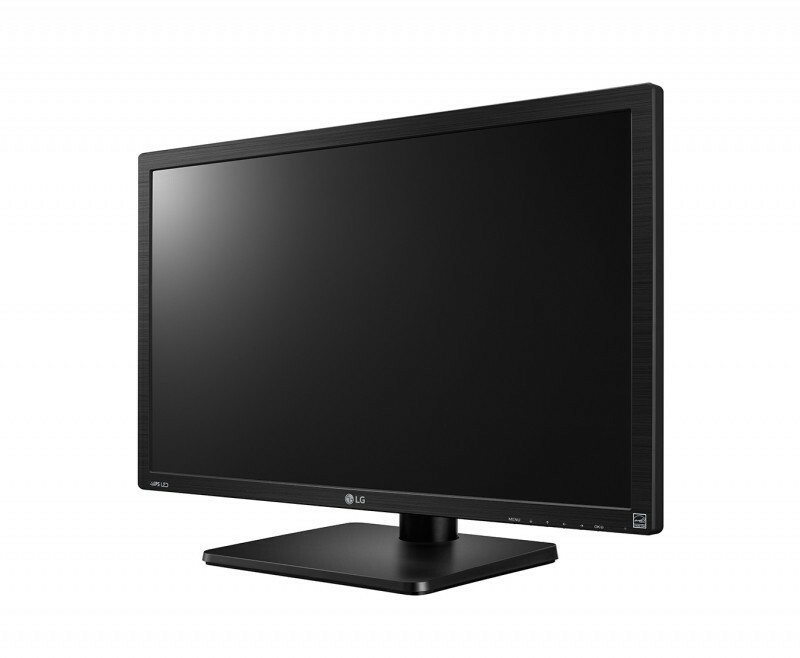 The LG 29UM65 features a thin bezel design with a glossy black cabinet and a detachable and steady base. The slim bezel design complements the ultra-wide resolution and makes for an immersive cinematic experience as the picture pops out. The screen of the monitor is covered with an anti-glare 3H coating to eliminate the sunlight reflection. There are 75 x 75mm holes for the VESA mount. When it comes to the ergonomics, only the screen of the monitor can be adjustable by tilting for -5, 20 degrees. 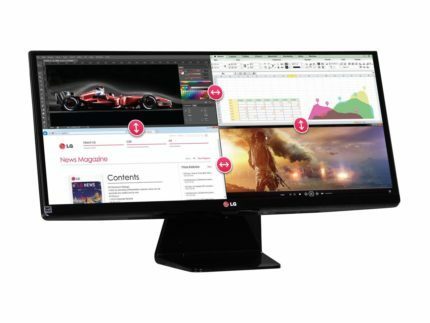 The LG 29UM65 features a DisplayPort, two HDMI, and a DVI-D port with the Dual Link support which allows you to connect an additional compatible device and view two displays on one screen simultaneously. Additionally, there are audio ports which can be used for the headphones and the built-in speakers. The only thing omitted with this monitor are the USB ports which would’ve been nice to have for a monitor at this price point. 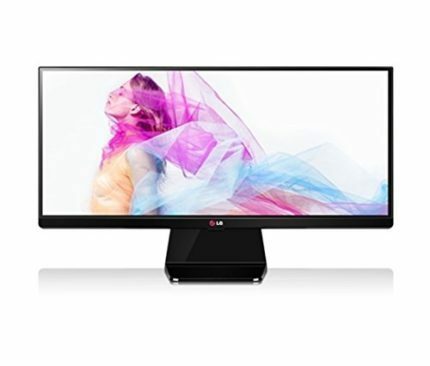 The LG 29UM65 is available for around $320 at the moment (March 2017) which is a reasonable price for this sleek monitor with the cinematic image quality. There is also a new version of this monitor, the LG 29UM68-P which is a bit pricier but offers more features for gamers. 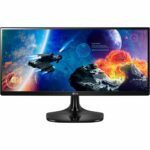 The LG 29UM65 is a reasonably priced ultra-wide Full HD monitor that will satisfy a variety of users ranging from the gamers to professional designers and photographers. The flawless image quality with the extra horizontal space and vibrant colors make for the necessary tools for all professional uses while also providing an immersive experience for gaming and movie watching. 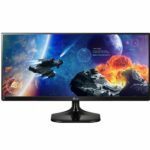 This monitor will drastically improve your gaming and movie watching experience and replace your multi-display setups with a beauteous and enticing display which easily impresses all its viewers. The LG 29UM65 delivers an amazing and cinematic ultra-wide image quality with vibrant colors and crisp resolution. Whether you’re a gamer, professional editor, or an average user, the LG 29UM65 will significantly improve your viewing experience for a reasonable price.